The key to a successful day at the beach is a perfectly packed beach bag filled with all of your snacking needs. Whether you’re a tanner, a swimmer, or a seashell collector, we can all agree that eating is the best part of a day at the beach. Lucky for you, I’ve made a list of the top items to pack to make sure your beach day is in the bag (get it?). I usually stop at the neighborhood deli to pick up a wrap; it’s the perfect meal made portable. One hand can be dedicated to your sandwich, while the other holds your drink. A go-to is the chicken bruschetta wrap. The combination of breaded chicken, fresh mozzarella, and juicy tomatoes and onions always hits the spot. 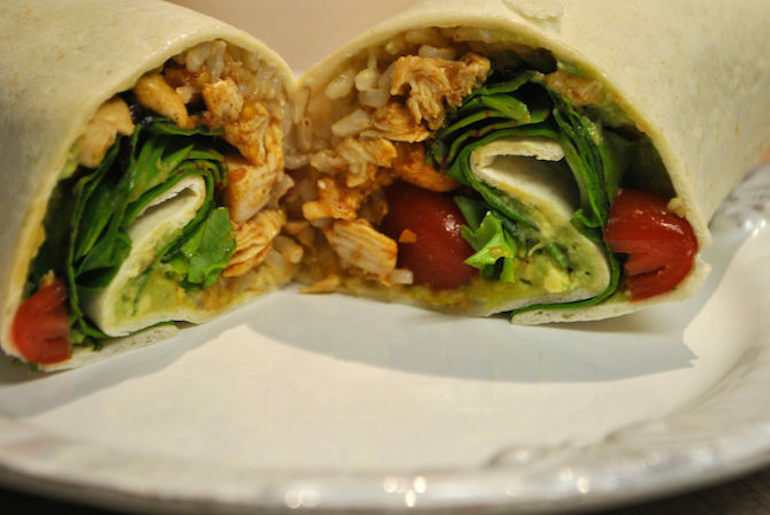 For more wrap inspiration check out these recipes. 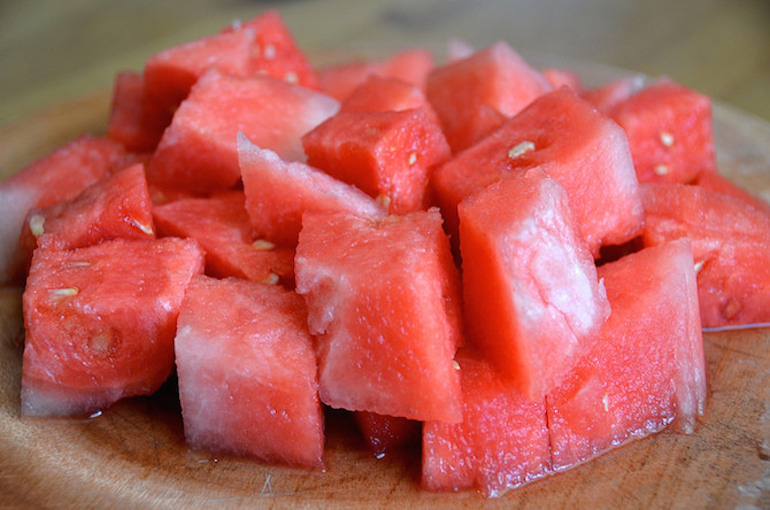 Watermelon is the perfect fruit to rehydrate you while on the beach. Plus, it has a ton of awesome health benefits. Make sure to cut it ahead of time, wedges preferable, since no one wants to confront the crazed knife-wielding lady at the beach. An added bonus, you can take super cheesy pictures with the rinds afterwards – definitely Insta-worthy. My default choice is Chex Mix, but don’t forget the boring decoy bag. 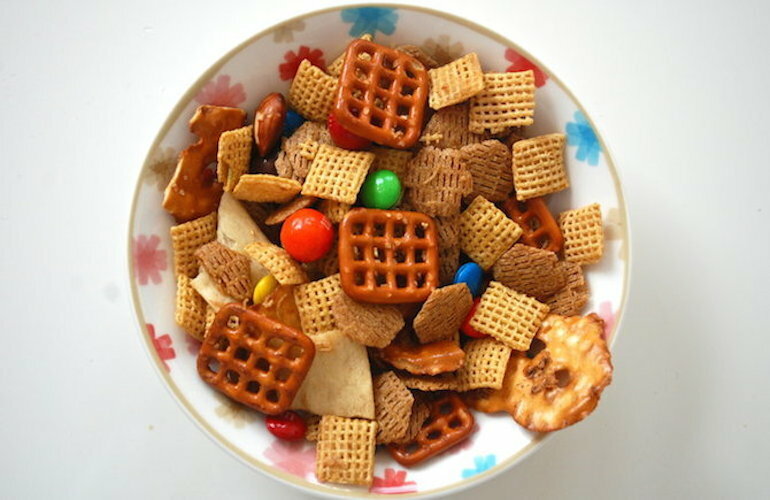 This savory snack will surprise you with each handful, unless you’re like me and only hunt for the chex pieces. I’m also into pretzel rods. Since you get more pretzel in one go, you don’t have to keep reaching your sandy hands into the bag for more. Nothing screams summer more than an Arnold Palmer. Mix together lemonade and iced tea, tasting along the way to reach the optimal ratio, and you have yourself the perfect pick-me-up. 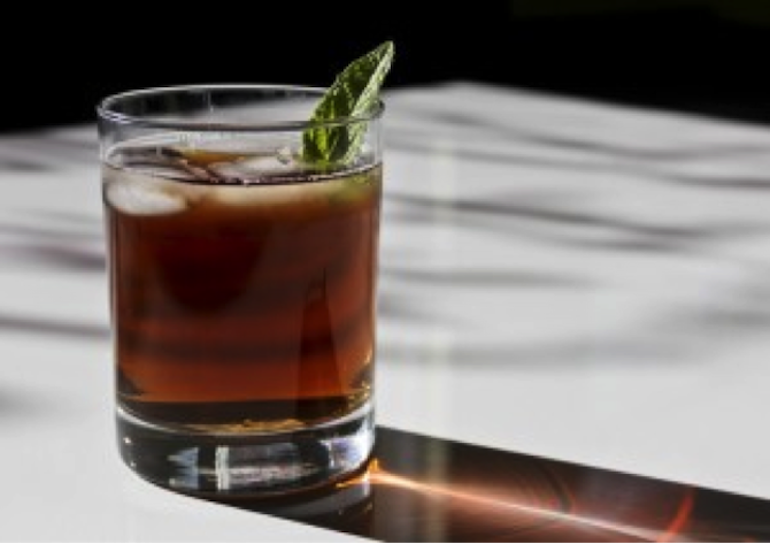 Here‘s a recipe if you’re in need of some more guidance. Also, be sure to bring water –packing water bottles the night before and sticking them in the freezer will keep your H2O colder for longer in the hot hot heat. 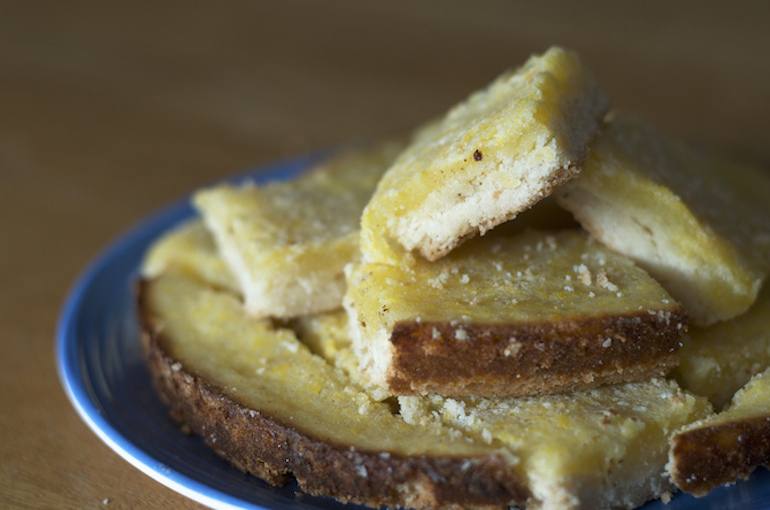 Nothing completes a mid-day meal like a tangy lemon bar. The sweet citrus flavor makes for the perfect tropical dessert. Plus, as I outlined in step number one, food that requires no utensils is a must for any beach picnic. If you’re interested in bringing homemade lemon bars to the beach, check out this recipe. Now you’re all set for a day of fun in the sun.